Looks like all is not well for Google TV. Wall Street Journal reported today that Google TV is being blocked by TV studios out of piracy fears. Many studios including Disney’s ABC and CBS have confirmed that they were preventing Google TV users from watching free Flash video. The content providers claimed that Google prioritizes searches to offer users official content over piracy which could be copied off by other means which the TV providers object to saying Google was not doing enough to tackle piracy. Google said that it does have some control to manually hide sites from search results but TV networks are not satisfied with that. Only a few networks have responded to Google’s requests for unblocked content on Google TV. 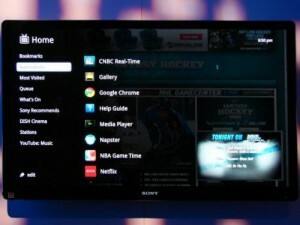 This is a major setback to what was seen as Google’s vision of Internet capable TV devices. YouTube started a movie service which is said to be building its movie database. While Google TV has issues with content providers, Apple TV too has its own share of problems. It has run into problems getting 99-cent TV show rentals.